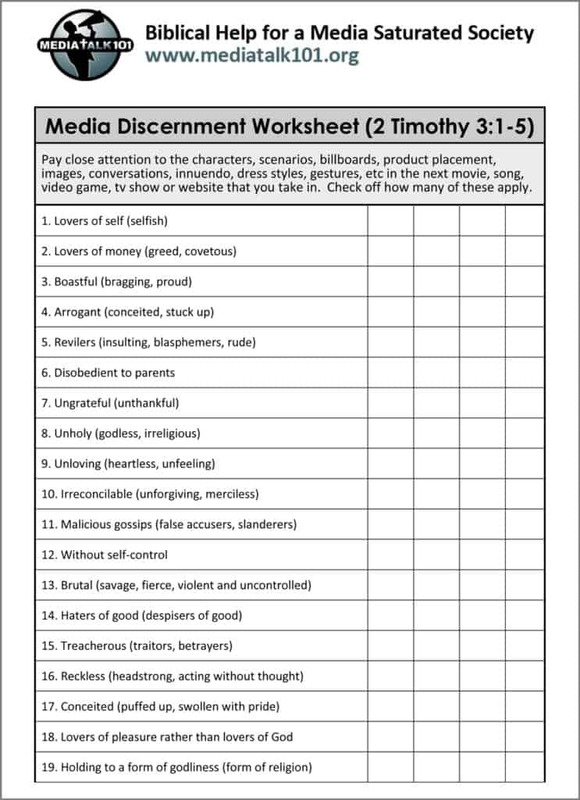 We created this exercise for our workbook “Christianity & Entertainment,” which is available for purchase on Amazon.com using the link on this page but we also wanted to make this page from the workbook available on this website. It is one example of looking at Scriptures with a view for practical application in the 21st century. Click the link below to download and print a PDF version of this worksheet.